It's time for the EAST Austin Studio Tour. I have the art hung and plan to clean the house Friday night...maybe Saturday morning. I am excited to be in my home studio again this year on East 4th Street. I hope to have some return visitors as well as some new people stopping by to see my yarn paintings. 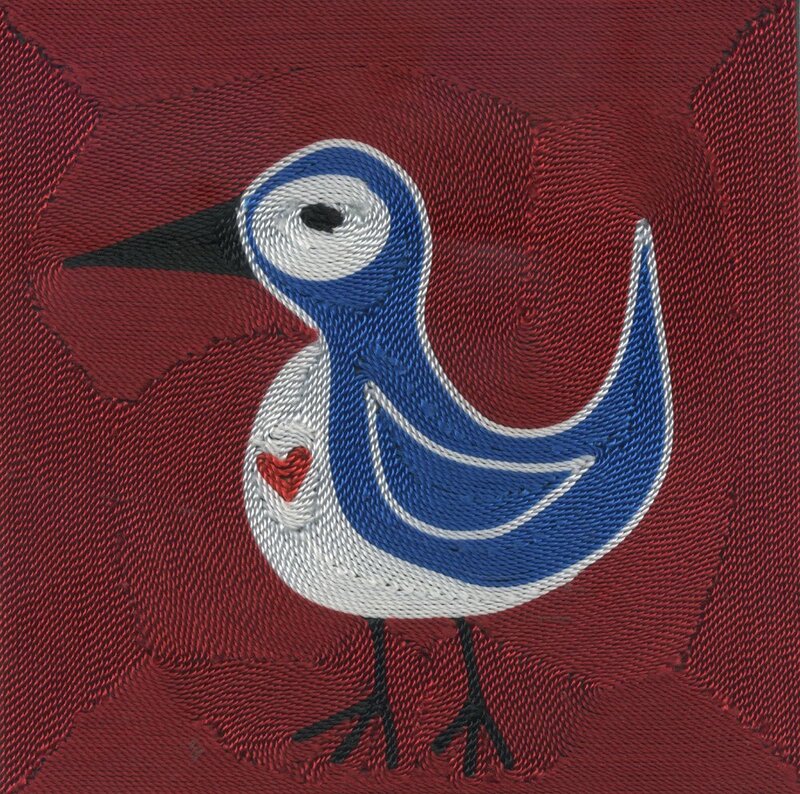 I have a few small unframed 4 x 4 inch pieces from my Small Bird Series that will be new and at a lower affordable price. Map to 1604 East 4th Street 1/2 A. Down the alley!